This book offers a comprehensive assessment of the innovation system of Viet Nam, focusing on the role of government and providing concrete recommendations on how to improve policies that affect innovation and R&D performance. Viet Nam needs to rely more on productivity gains driven by innovation in order to boost its economy, according to a new joint study by the World Bank and Organisation for Economic Co-operation and Development (OECD) released today. 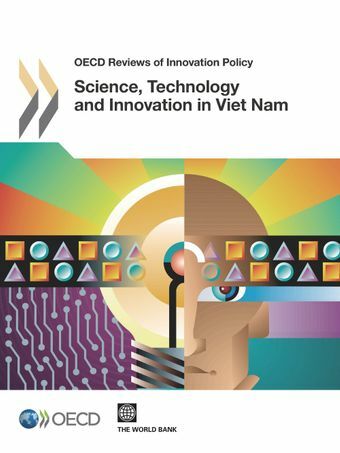 The study, The OECD-World Bank Review of Science, Technology and Innovation in Viet Nam, looks at the key elements, relationships and dynamics that drive the Vietnamese innovation system and opportunities to enhance it through government policy. Despite its historical record of scientific research, Viet Nam’s innovation system in the modern sense is only emerging. Current science, technology and innovation capabilities are weak and the national innovation system is in a nascent and fragmented state. Research and development both in the public and private sectors still have a lot of room for improvement, according to the report.